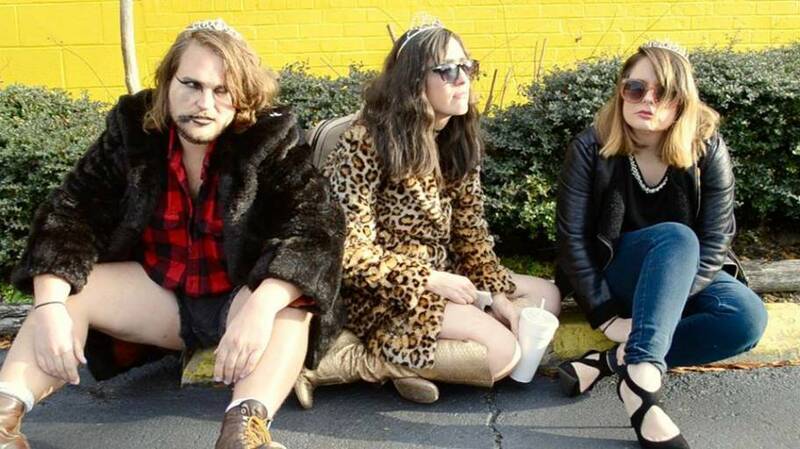 Raleigh, NC's Pie Face Girls are one of the most phenomenal, counter-culture groups right now; press photo courtesy of the band. Introducing the best news you will read, hear & see all week; Impose’s Week in Pop is here to bring you up to date with breaking media & some of the week’s biggest stories. Keeping you up to date with all the buzz, we learned that all of our favorite artists signed a statement against SxSW’s draconian “deportation clause”; Los Angeles Police Department’s self-titled second album & ANTI- debut will be available April 28 & dropped the Juliana & Nicky Giraffe with Emmett Sutherland video for “Grown”; Alex G announced the new album Rocket available May 19 from Domino & dropped the Colin Acchione video for “Bobby” & dropped the track “Witch”; Yaeji signed to Godmode & announced her EP self-titled debut available March 31 & dropped the Yathy Yaeji Lee & Salenta de Badisdenne video for “Noonside”; Jenny Hval won the honor of receiving the 2017 Phonofile Nordic Music Prize; Lil Uzi Vert, Quavo & Travis Scott dropped “Go Off”; Lorde hinted at something happening March 2 via New Zealand television, then dropped another elusive video via imwaitingforit.com & later dropped the Grant Singer video for “Green Light”; Kendrick Lamar discussed details on his To Pimp a Butterfly follow-up; Wavves announced the upcoming album You’re Welcome available May 19 through Ghost Ramp & dropped “Daisy”; Run the Jewels are readying their own beer “Stay Gold” in partnership with Def Jux manager Jesse Ferguson’s Interboro Brewing; Ariel Pink & Weyes Blood’s Natalie Mering dropped their “Tears on Fire” video from Charlotte Linden Ercoli Coe; Jay Z is co-producing Lin-Manuel Miranda’s In the Heights; Sharon Van Etten covered “The End of the World”; The Juan MacLean dropped “Can You Ever Really Know Somebody”; Strategy, aka Paul Dickow dropped The Infinity File via Geographic North; She-Devils signed with Secretly Canadian & dropped “The World Laughs” video made with Antoine Lahaie; AOE (Ambassadors of Earth) dropped “Gone” off the forthcoming Homecoming EP available March 10 from Def Jam; Iron Reagan dropped the Dennis Williford video for “A Dying World”; Sleater-Kinney x R.E.M. supergroup Filthy Friends dropped “Any Kind of Crowd”; The Shins dropped “Painting a Hole”; Raekwon dropped “Purple Brick Road” ft. G-Eazy off the upcoming album The Wild; Nina Simone’s birthplace/childhood home was purchased by artist to be preserved as a historical site; Soundgarden announced spring 2017 headlining tour dates; Snoop Dogg & Merry Jane announced “Mount Kushmore Wellness Retreat Tour”; Father John Misty announced more dates, Franz Ferdinand announced an upcoming tour; Bob Mould extended his solo tour through April, watch him performing “Hoover Dam” & “The War”; Ride announced North American tour dates; Lil Wayne touring through April & May; Jesus & Mary Chain announced a North American spring tour; Thurston Moore announced tour & dropped “Cease Fire”; Phoenix announced tour dates; Modest Mouse announced tour; Depeche Mode announced tour; DJ Khaled announced the the Summerfest Cruise; Coachella got hacked; Remy Ma versus Nicki Minaj via the diss track “ShETHER”; U2 versus Paul Rose; that water-cooler hyped envelope kerfuffle at the Oscars; YouTube announced YouTube TV; Kim Gordon talking scoring a film from James Franco that has yet to arrive; and the Morrissey biopic revealed to be titled England Is Mine. Moving our attention to developing & breaking stories, it is our pleasure & privilege to present the following insights, exclusives, interviews & more from Donovan Blanc, False Priest, Old Smile, Pie Face Girls, Big Love, Gregory Uhlmann, Jasper Lee, L.A. Girlfriend, Pastel Ghost, Unstoppable Death Machines, featuring guest selections by Communions & more—in no particular order.